Chris Ruder was introduced to Spikeball while on vacation and when he got home, he discovered the game was never patented. Chris got the patent and got to work: he would come home after his day job, hang out with his family until his kids went to bed, and then work every night to build his company. Five years later, he hired his first employee and that’s where our story begins on the podcast tomorrow. Until then, read more about Spikeball Chris below. In 100 words or less, describe what your company does. 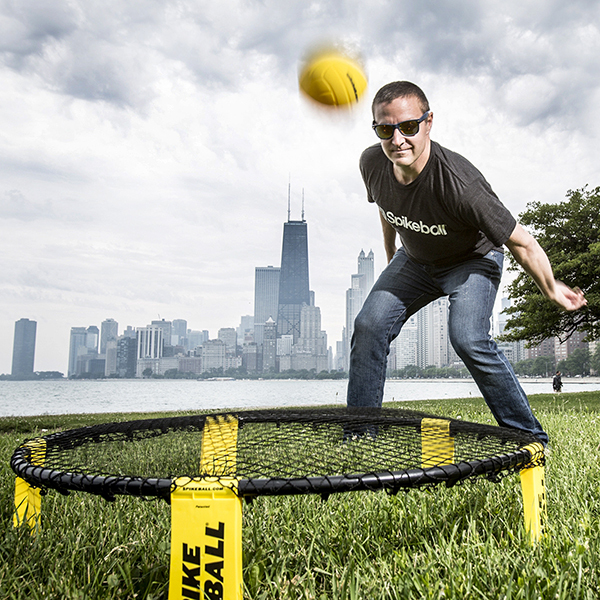 Spikeball’s mission is to create the next great American sport. We are building a community of roundnet players all over the world via tournaments, the Spikeball app, and product sales to make this happen. How can we find you and your company on social media? Is your company bootstrapped, or have you raised equity financing (VCs, angels, etc)? What company accomplishment or milestone in the past 12 months are you most proud of? What’s the #1 company issue or area of focus for you right now?